“Mindful eating” can make a world of difference on how you actually view your food. Weight loss therapy that puts an emphasis on mindful decision making and personal values will help you lose more pounds successfully. This new approach is referred to as acceptance behavioral therapy (ABT). Scientists believe that behavioral therapy may help aid weight loss at a rate of 5 to 8 percent of initial weight. Sometimes even more. This unique approach also develops a deeper connection with food you eat. People who have mindfully committed to ABT therapy for a year are known to lose an average of 13 percent of their actual weight or greater. Scientists have put this theory to test by conducting clinical trials which involved standard as well as ABT therapy. Over 190 obese and underweight people were selected. The people were placed under standard and ABT therapy. Each of the groups attended 25 sessions annually which involved interactions with weight loss experts. The groups received training in areas of weight loss management, problem-solving, eating habits, food cravings, and exercise. However, ABT therapy included additional components in which people were asked to select ‘personal values’ rather than just aiming to cut down pounds on bathroom scale. For example, an individual might choose to become a healthy grandmother. The mind approach concept helps people understand what they desire in life and how weight can affect their aim. The decision-making process to select or succeed begins in the mind. You can feel bad for selecting an apple pie slice over a sugar-free brownie. Many people would state that is how their brain works. Instead, focus on the behavior to change your angle of thinking. You can change your view on food if not your cravings. Practice by throwing away unhealthy foods and include healthy foods. There are several factors that influence your decision to eat and the type of food to go for. Just being bored or watching TV might prompt you to mindlessly eat. ‘Mindful decision making’ in ABT therapy helps people understand how the cues from the environment have a direct influence on their decision to eat. At the end of the year-long trial, it was found that ABT therapy excelled in standard therapy. ABT patients had over 13 percent weight loss of their initial weight when compared to the 10 percent weight loss in standard therapy patients. The research also showed that over 64 percent of the ABT individuals maintained at least 10 percent weight loss in the one year period. About half in the standard therapy group (49 percent) maintained the 10 percent weight loss in the one year period. Scientists suggest that after the initial ABT therapy people can always have booster session in a year and stay motivated through mobile apps. Since people are biologically inclined to consume food, standard weight loss advice only works when you adhere to it. Besides being greatly tempting, foods also come with the reward of great taste and comfort. Calorie-rich foods especially tend to be more tempting making them tough to resist. There are times in human history when food was scarce which sometimes apparently turned out to be beneficial for health. But the modern world readily offers surplus food in various settings. The temptation to binge on calorie-rich foods has led to obesity and major health issues. It is highly difficult to turn down such tasty foods no matter how much you try to resist. It really requires high discipline and ardent desire to keep away from high-calorie meals. Moreover, keeping off any excess pounds post weight loss is also crucial. It is here that ABT helps you to learn these key skills to boost your weight loss efforts. Eating mindfully connects you with food. It plugs your senses with food and keeping you under control. You experience the food in every bite. As a result, only a few bites would make you feel satisfied. This works great particularly if you are indulging in a high-calorie dessert – as just a few bites of it would be enough to satisfy your cravings. Mindful eating enables you to focus on eating healthy food in the right amount. Ultimately, this leads to weight loss without the need for any special dieting programs. Mindful eating gives you control over stressful and emotional eating thus preventing excess calorie intake. Hence, your weight is under control. The mindful eating approach can help cut down the risk of several diseases including diabetes, eating disorders, heart disease, and digestive issues. High work pressure, less sleep, being caffeine dependent, cell phone addiction and unhealthy foods have all taken a toll on our health. Many people worldwide fight extreme fatigue every day in a life. Experiencing frequent fatigue along with symptoms of insomnia, brain fog, difficulty waking up, stubborn weight gain, lack of energy, salty and fatty food craving, anxiety, lower concentration levels, and the inability to deal with stress can be signs of Adrenal Fatigue Syndrome https://www.drlam.com/articles/adrenal_fatigue.asp. People with AFS have a weak body, tend to gain weight easily and crave for salty and fatty foods. 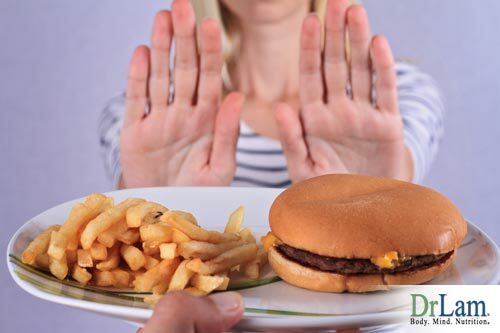 Controlling food cravings can be tough. In order to slim down, most people resort to various diet plans. It is important to note that excess dieting with restricted calories can aggravate adrenal fatigue worsening the symptoms. This is because, with AFS, your system needs good nutrition to repair and restore itself to normal functioning. The NeuroEndoMetabolic Stress Response (NEM) in your body fights against excess stress. The NEM stress response is comprised of complex systems and six circuits which work in unison. During stress, your adrenal glands produce cortisol or anti-stress hormones. However, continuous stress overburdens your adrenals gradually reducing its cortisol secretion capacity. Thus your body’s stress-fighting capacity is also reduced. Nutritious food helps to repair and heal your adrenals. Extreme dieting does not provide your body with the daily required nutrition and leads to adrenal exhaustion. Mindful eating within the ABT technique can be helpful in AFS. With a conscious eating approach, you develop a deep connection with food resulting in a great eating experience. This produces a soothing effect on your mind thus alleviating stress. You develop a new approach to eating. Further, the mindfulness approach techniques help AFS individuals to control salty food cravings, lose more weight without side effects, and prevent any further weight gain. Previous Post: What Is Baby Swaddling?